When I say 'Flies' you say flee! Picture walking around in your home seeing flies pest everywhere - bedroom, bathroom, kitchen, hall room. Once inside the house they pretty much refuse to leave and just keep landing on food, utensils, your body, and just about any surface. Not only are they highly irritating to come in contact with but they also destroy any attempts of you trying to keep your home in hygienic conditions. Spotting a fly definitely means that sanitation has been compromised upon. With their small bodies they need a small gap to get into a room. As you might have observed, with two wings that help them move very quickly, it is difficult to get rid of flies with a swat. Because of these 2 wings they also tend to land on surfaces very often, which only makes the hygiene conditions worse. Flies come in contact with bacteria through their hands and mouth, which also happens to be the way that they pass on the bacteria. Their tendency to frequently land on things only means then within a minute more than half your home could be plagued by bacteria. Like their name suggests they tend to be pests to livestock and are most active during the day. However, the males mostly feed on pollen and nectar, while the females tend to attack cattle and humans. Their mouths are extremely sharp, enabling them to cause painful bites. These pests resemble coloured bottles and are responsible for spreading a number of diseases as they are attracted to pet feces and animal carcass. These flies move around in swarms, can be spotted during the summers and are attracted to light. They prefer undisturbed parts of your home that are devoid of any hustle and bustle. You're likely to find these flies near riverbanks that have a lot of sand. The prime months for them are from April to September. Named after the kind of food they are attracted to, fruit flies feed on fermenting residues in orchards, breweries, vegetable and fruit plots. 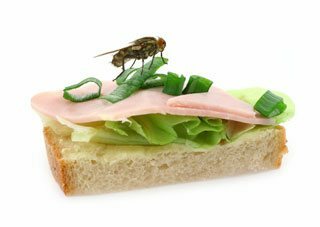 These flies can really ruin the sanitation of your home as they feed on pet food, human food and feces alike. These flies look like tiny moths and emerge near drains, sewages, etc because they feed on the sludge from these areas, hence making them extremely unhygienic to come in contact with. Found near greenery, these flies feed on bugs, spider, caterpillars, etc and are used for insect control. Known to have a fluttering flight, they usually move around in the evening or at night. Wherever there is fermenting food or stagnating liquids, you will find these flies. They breed in as well as feed on the same things. These flies can single-handedly cause grave threats to human health as they feed on excrement, waste and food that are in the process of decaying. Human sweat, saliva, and tears tend to act as bait for these flies. They keep hovering around and can cause eye infections. You could also land up with enteric diseases if you do not take care. Like most other insects, flies have four stages that define their lifecycle. They start out as an egg; move on to larva, then pupae and finally adults. This entire cycle can range from days to years depending on the environmental conditions as flies require warmer temperatures to thrive. In total a fly lasts for about 25-30 days while in the adult stage. 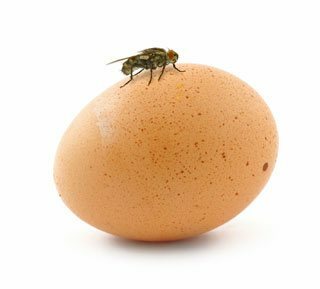 The process is triggered when a fertilized female fly lays the eggs in a location full of food that the hatched egg can feed on to move onto the next stage. These locations can be the drainage, garbage can, waste, the toilet, spoilt food, etc. Once larvae finishes feeding it reaches the pupal stage where the wings, six legs and compound eyes are developed. After the growth is complete an adult fly emerges, ready to mate 36 hours after it has lived the said stage. Flies taking over your home! Flies swarming around your home should alert you to realize that your home might have become the breeding grounds for a fly infestation. Maggots: Maggots are most likely to be found in waste areas or decaying food. Simply put they are flies that have hatched from the eggs. If you spot small dark spots in nooks, corners, fittings, near drains, wall surfaces under sinks, and other difficult to reach areas, you can be sure that flies are breeding in your home. 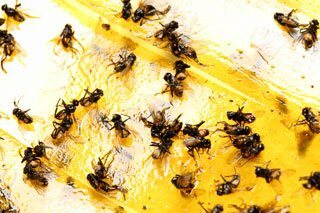 There are a few ways for total flies removal from your house but the first step towards it is to sanitize the place. Being the type that are attracted to waste, decay and filth, flies will move away when they realize that your home is anything but full of that. Store compost in an enclosed and covered space, keep your garbage bins closed tightly. Avoid storing water as it breeds mosquitoes. Flies are definitely not something to entertain in your home. They can easily transmit diseases to you and your loved ones. It is best to keep them out of your home with the help of hacks and DIY techniques. However, if you do spot signs of an infestation contact a professional flies exterminator to rid your home of these pests. At Protech Pest Control, we believe your safety and comfort come first. Providing same-day-service, we look into the matter immediately by sending one of our certified professionals to inspect your home. With our experience and the latest technology we offer you fly management solutions including traps that make your home environment safe once again. You can place your home, health and loved ones in our hands because we care just as much as you do.